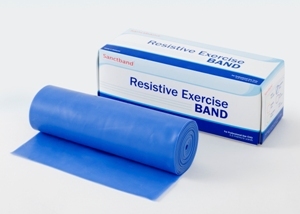 Resistive exerciser bands come in a full range of resistance options. 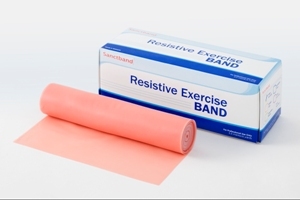 Helps create effective exercise/rehab and strengthening regimens. Resistance bands can be utilized with anyone who requires resistance therapy or exercise. Available in 3 resistance levels: light, medium and heavy. 6 Yards per roll. 1 Roll.